Singapore has put in place measures to cool the overheating in home prices since 2009. Those measures have helped reduce the developing bubble in prices. They have achieved a slow deflation in prices without a crash (so far at least). Prices declined just .3% from last quarter and have declined 12% from a September 2013 peak. Singapore’s leaders, determined to keep a lid on home prices in the city-state, have unleashed a series of measures to cool the market since 2009. The government in March rolled back some property-market restrictions for the first time in eight years, although has cautioned that those adjustments don’t signal an unwinding of the measures. In March, the government reduced stamp duty imposed on sellers and some mortgage restrictions. That helped stoke optimism that Singapore’s property market is rebounding, with home sales jumping and developers making more aggressive bids at land auctions. Home sales in the first five months this year have risen about 75 percent from the same period a year ago, data showed. Singapore has managed this issue well. They waited a bit too long to act in my opinion but once they decided to act they have done well taking manful measures while also not moving too drastically and spooking the market. 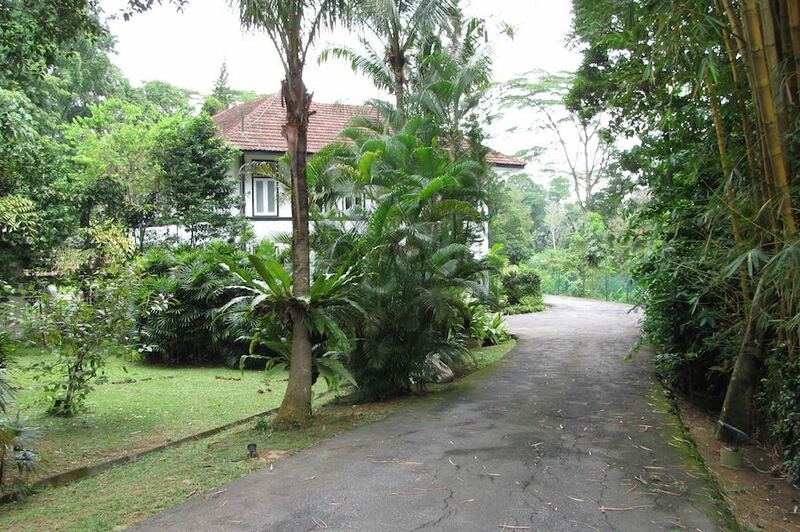 The house our family lived in while my father was a professor in Singapore. I took this photo years later while on a family vacation. Their neighbors across the straits in Johor Bahru waited to long to act and didn’t take significant enough measures and that situation is still precarious. This entry was posted in economy, Living and tagged housing. Bookmark the permalink.